In your OnSign TV account, click on the “Players” tab on the left side. All Players will be listed. To the right you will see the number of Campaigns on the Player. Click on their thumbnail. 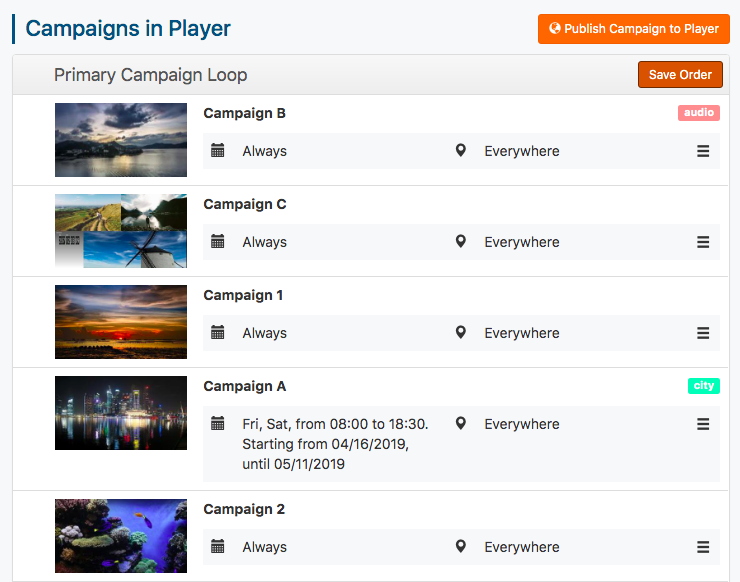 All of your campaigns are listed on the loaded "Campaigns in Player" page. Click on the “Reorder” button on the top-right of the “Primary Campaign Loop” header. 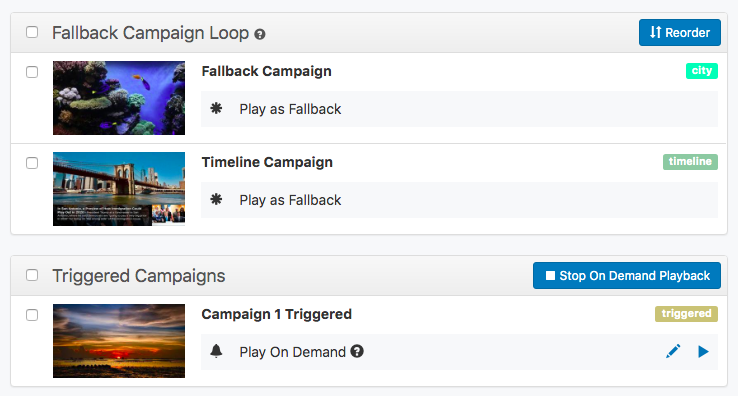 You can also reorder campaigns in the “Fallback Campaign Loop”. But Triggered Campaigns do not follow an order. They rather obey a predefined trigger, such as date, time, crossing an area or a play command from the OnSign TV website. Hence, they cannot be reordered. 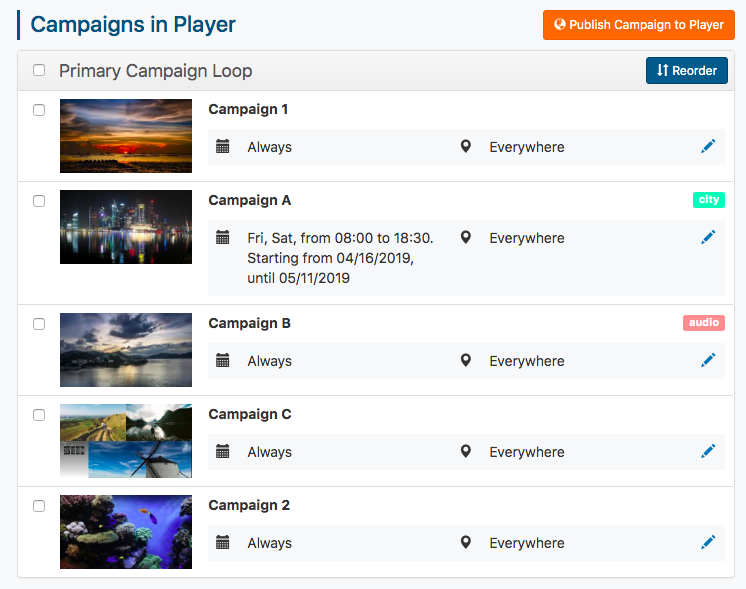 Now you can drag and drop and reorder Campaigns to the best displaying order. Once you like the order, confirm with “Save Order” on the header.